A few mile from entering the Bay after the sail from Bermuda, we hit a wave and the head sail began to luff. We looked at it and figured the halyard had chafed through. We rolled the head sail and then used the staysail and engine to get back home. A couple of days ago, the rigger was up on the boat. Everything was exactly as it was when we furled the head sail. 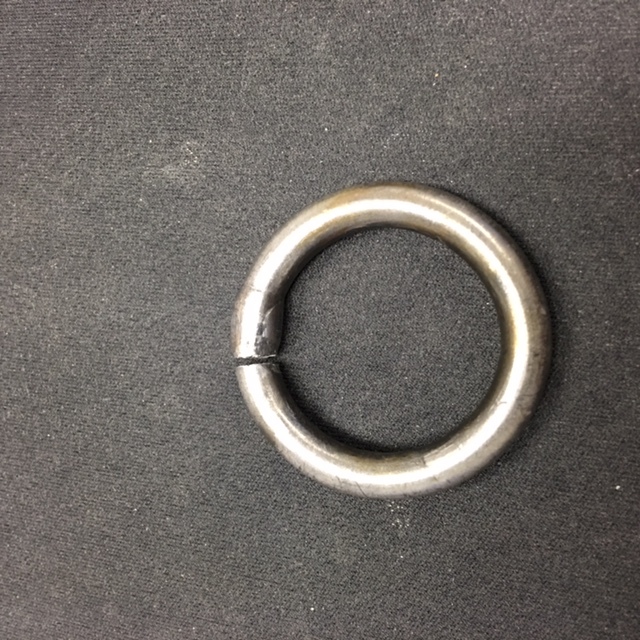 The original titanium Profurl swivel link plate ring cracked through and allowed the halyard snap shackle to come off the ring. ( see photo )How old is the furler? We replaced it with a shackle as well as a new top plastic bearing that was damaged when it parted. It's all good now.